For IBM’s Center for Integrated Design course, my team worked with IBM Watson and its AI natural language processors to develop a travel assistant. People need a better way to discover, plan and book personalized trips using natural language conversation. Friends and family have opinions, and it’s hard to navigate the enormous number of reviews and social media posts related to destinations. All of this makes it difficult to choose where to go and what to do. How can we integrate Watson technologies to improve a corporate traveler’s experience. The Travel Genie is a 20-questions-game experience that helps people with quick, easy, and optimized decisions for meals and events during busy business trips. It utilizes IBM Watson’s natural language processor as well as connected data from other platforms and accounts in order to quickly and effectively help you make the best decision for what to do next. 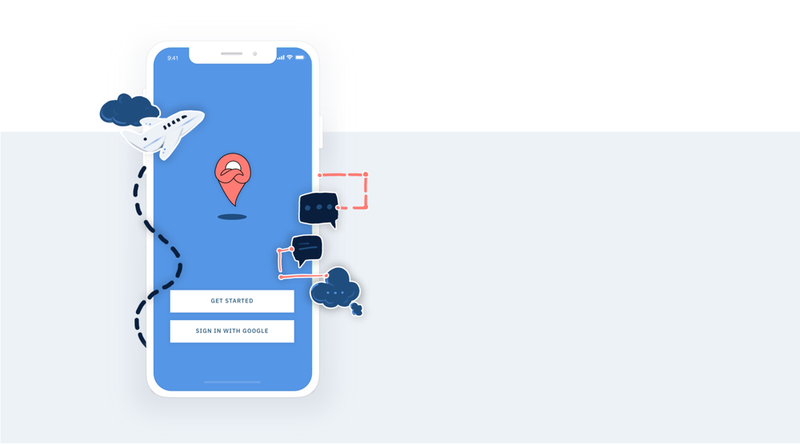 The user must first answer questions about their hometown preferences, giving the Genie hints as to the user’s personality as well as determine which establishments are most liked by locals when other users come into town. Through our research, we created 2 different types of corporate traveling personas along with their need statements. Howard: 58, Travels more than 75% of his billable hours, works up to 70-80 hours, all work and no play, religiously orders room service. Howard’s employer needs a way to get Howard to explore the city so that Howard feels greater employee satisfaction and decrease dollars expensed on delivery fees and room service. Ellie: 26, works as a consultant, travels twice a month for her job, uses travel points for leisure travel, loves to travel the city she’s in. plan impromptu experiences around her work schedule so that she feels like she is maximizing her free time in an unfamiliar, new city. With the synthesized need statements of each persona, we boiled it down to one general statement: corporate travelers need a way to find a unique place to eat in 5 minutes. Our goal was to design a product that is incredibly efficient, usable, and valuable. This was a tall order, so we decided to simplify this complex function into an approachable experience by framing it as a “20 questions” game. This app would not only give simple, easy, and personalized suggestions, but also almost game-ify the travel planning process, with the fun of a guessing genie and the efficiency and ease of a limited back-and-forth conversation. We absolutely needed to increase the usability of a voice assistant, since we were having trouble answering questions in person to our friends, much less a machine. Our team went through many rounds of iterations and major pivots. One of the biggest lessons I learned was to not design for myself because there would be an inherent bias that’s not based on research. Overall, I’m proud of the work our team has done with this app because it has the potential to solve business problems by increasing overall job satisfaction for an employee. Furthermore, we left a lot of room for more features to include, allowing this idea to extend beyond this minimum viable product stage.